We’d love your help. Let us know what’s wrong with this preview of Waiter Rant by Steve Dublanica. According to The Waiter, eighty percent of customers are nice people just looking for something to eat. The remaining twenty percent, however, are socially maladjusted psychopaths. 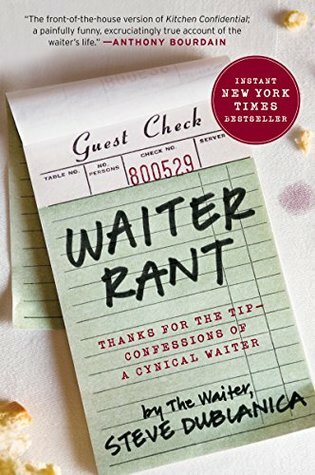 WAITER RANT offers the server's unique point of view, replete with tales of customer stupidity, arrogant misbehavior, and unseen bits of human grace transpiring in the most unlikely places. Through outrageous stories, The Waiter reveals the secrets to getting good service, proper tipping etiquette, and how to keep him from spitting in your food. The Waiter also shares his ongoing struggle, at age thirty-eight, to figure out if he can finally leave the first job at which he's really thrived. The Waiter waited his first table at age thirty-one. In 2004 the author started his wildly popular blog, www.WaiterRant.net, winning the 2006 "Best Writing in a Weblog" Bloggie Award. 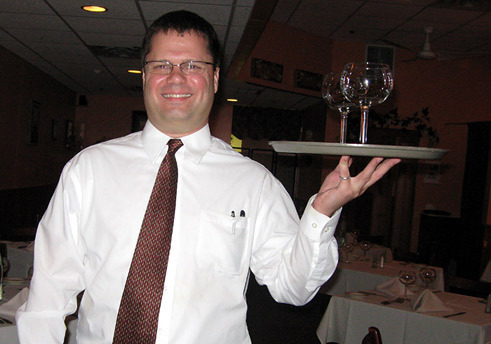 He is interviewed regularly by major media as the voice for many of the two million waiters in the United States. The Waiter lives in the New York metropolitan area.